Welcome to the In The CLEAR Podcast. My name is Justin Recla, and I’m your host, along with my business partner and wife, the gorgeously talented and amazing, Tonya Dawn Recla. For the record, folks, if you don’t know it, Tonya is also the CEO of a company called Super Power Experts. You can find out more about Tonya and her Super Power Experts at superpowerexperts.com. It’s a merger of the two worlds here. What you’re getting here, when you have Tonya on the show and taking things from a whole other perspective. I can’t tell you how much I appreciate her being here with me on the In the CLEAR Podcast. Thank you honey. Thanks for the shout out. We have fun over Super Power Experts. But of course, near and dear to my heart is the CLEAR Business Directory, and the transparency and trust work that you all do over here. It’s awesome. Well, thank you for being here. So, this week, we are talking about one of my favorite topics. This organization has quickly become one of my favorite government entities, and that’s the SEC. We’re talking about how the SEC continues to affirm Due Diligence as a must for your business. I just want to take a pause here because this is like a shining moment for the SEC. Somebody just said that you are their favorite government entity. I don’t think they get that very often. Let’s just give them their moment. The SEC affirms due diligence is a MUST. The horror stories that we get alone, that we hear from our clients, some of the stuff that we uncover and see in the stories we get are just unreal. To see an entity such as the SEC coming out saying Due Diligence Is A Must, is pretty big. In this latest batch of affirmation, stems from the whole F-Squared debauchery of F-Squared producing inaccurate performance data. Yes, thank you, debacle. For its Alpha Sector Strategy Investments. Although, there may have been debauchery involved, I don’t know. You know what, there’s a good chance because somebody didn’t do their due diligence. Here’s the thing, folks, the SEC has been saying this ever since Bernie Madoff in 2008. If you’re going to hire a sub adviser for your clients, for your business, for your investments, for your business you have to do due diligence. Just because a sub adviser brings you information, you still have to verify, you still have to do your own due diligence. You can’t just go beyond what one person says. You didn’t have to take that information and verify it because even here at the Clear Business Directory, with our vettings, you still need to go out and do your own due diligence. And this is so crucial because the SEC gets a really bad rap for being kind of the bullies on the playground, especially when it comes to small businesses. But a lot of their stuff, folks, is for your own good. I know that that’s kind of like heavy-handed parenting tactics, but it’s important. What we’ve seen, at least from our end of things, is that they’re trying to do everything they can to really convince small businesses to take some extra steps. The challenge with when you operate a small or medium sized business is that you’re not big enough to have the pockets, and the legal teams, and everything else that the big guys do. But yet you have the same responsibilities. And that is consistently what comes forward. You can’t shirk those responsibilities. If you want to get into business and make money off of people consuming or having your services or whatever the case may be, you have responsibilities. If you’re trying to outsource pieces of your business or bring in other people or whatever the case may be, and you haven’t done your own due diligence, your clients, your customers operate off the assumption that you are operating responsibly. Therefore, they don’t question whether or not you’ve done the due diligence to bring in these sub advisers, or whatever the case may be, a consultant, service provider, vendor, it doesn’t matter. You owe it to your clients and your customer base to have done this. Just like employment screenings. You have to screen the employee before you bring them into a company. It’s no different. For too long ,really bad business practices have been acceptable. When the concept of due diligence, stopping at “because somebody else told me it was so,” and taking an adviser’s word for it. Especially if that adviser is getting paid if you purchase the investment. How good is that due diligence? If the person is making a commission off of selling you on something and they told you that they’ve done their own due diligence on that investment opportunity. Really, how much weight does that due diligence actually carry? It’s like asking a drug dealer if you should take drugs. Exactly. That’s a whole other conversation. Again, we have to consider the source of the information. 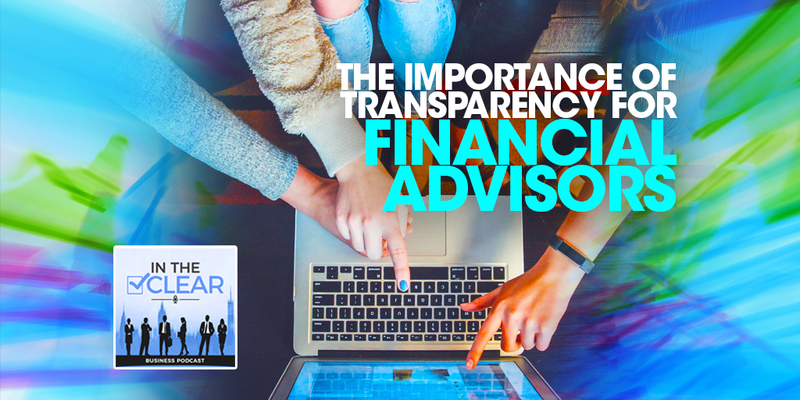 If you have a sub adviser that is going to benefit or profit off of getting you involved in whatever the opportunity is, you have to do your own due diligence. Again, even the SEC has come out and said that even if you have an adviser, you’ve got to do your own due diligence. It’s essential. it’s a must. But they’ve said that for a while now, even when they came out with the bad actor, that whole umbrella. That was forcing companies to take responsibility for the people that they’re bringing in, saying that you have to know who’s on your team. You have to know what they’ve done. You have to know if they’ve done bad things. You have to know if they’re still doing bad things. And you are responsible for that. It’s simply the cost of doing business, folks. It’s also part of the new way of doing business, and that’s operating in transparency. Making sure that you’re throwing everything out on the table, so your clients, your potential investors can see what the hidden risks are. If you are a business that is raising capital and you’re not fully transparent, now you’ve just taken somebody’s money and now they find something else out about you that would have prevented them from investing in you in the first place. Guess what. That’s a huge headache that you now have to mitigate potentially having to give back. We’ve heard horror stories, folks. We literally got stories where we know businesses have to give back millions of dollars because they didn’t do their due diligence prior to a raise. Absolutely. Every single securities attorney that we’ve queried, and we’ve talked to many, many securities attorneys, every single one of them has said the same thing. If you can demonstrate that you have a practice of due diligence, that you have a policy, that you have steps that you take and you apply it across the board, the SEC is going to look very kindly upon that. They can’t obviously say that you’re in the clear, or that you’re covered completely, but it’s better than 90 percent of the businesses out there. If you want to stand out, and you’re doing anything that has any kind of SEC scrutiny to it, I suggest standing out and operating in over compliance. Make sure your business has a due diligence process for every business that you’re getting involved with, everybody that you’re bringing into the situation. It’s just smart folks. 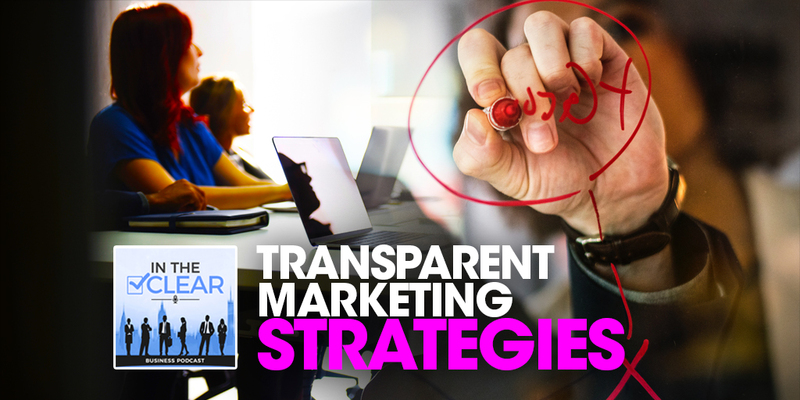 It’s not only smart, but it’s really going to increase your chances for success because it’s going to show your prospective clients, your prospective investors, people that you’re bringing in your business that you operate above board. And, you’re going to get a cookie from the SEC because they tell you, you have to do it. Absolutely. There are places in your business that you can skimp. Buy the cheap toilet paper, whatever that may be for you and your business. But in the due diligence piece of things, when you’re bringing on other companies, or you’re outsourcing, or you’re bringing in people, or whatever that looks like for your business, do not skimp there. Make sure you’ve got solid due diligence processes in place, make sure you’ve been advised by due diligence professionals on how to do that because if not, it’s going to come back and bite you. And when it comes back and bites you, it’s usually three times more costly then had you done due diligence in the first place. It’s always less expensive to do due diligence on the front end than to clean up on the back end, especially when dealing with the SEC. Absolutely. And it can be scary. I get it, folks. They feel like an overbearing government entity, and on some level, yes, they are. But, just be smart. If you start digging into things, they usually provide you with a decent amount of information and little clues on what you can do to protect yourself in just about every situation. If you’re a company that falls under their scrutiny, get a really valuable securities attorney. Unfortunately, folks, we have talked to securities attorneys that were really poorly advising their client base and not advising them to follow due diligence practices, but rather getting them to sign waivers so that the attorney and the company the attorney worked for wouldn’t be liable when the SEC came down on them. That’s not the kind of securities attorney that you want. Ask them about due diligence. If you’re doing capital raises ask them about Bad Actor, and they should be able to be educated about that. Ask them what policies should I have in place, what due diligence practices should I have in place? Chances are good that your securities attorney isn’t going to know a due diligence firm that handles that from a people perspective. But you’re listening to us, so you know. And you can definitely connect us with them and we’re happy to work directly with your attorneys. Exactly. And that’s the key, folks, knowing that you have options out there to help you with your due diligence. That’s where most people get stuck because they had no clue as to where to even start. Fortunately, at the Clear Business Directory, that’s what we do. We live, eat, breathe, and sleep due diligence, making sure that you’re getting involved with the right people and that you know the things that you know to mitigate the risk about those people. So if you’re getting involved with the SEC, if you want to stand out, you have some due diligence needs that you need to stay compliant, make sure you check out the Clear Business Directory. And one final point here, where we really excel at the Clear Business Directory was predicated on, was based on my experience and Justin’s experience in the human intelligence arena. When we talk about that due diligence perspective, it is strictly from that human perspective. That is really where we are seeing the biggest, gaping holes right now. The SEC has identified it also, and they’re not being lenient about it. And so, when you talk about due diligence make sure that you’re including what we call the human risk factor into those conversations. Exactly. Before you get involved with anybody and put your business at risk, make sure your business is in the CLEAR.